Emmerson Mnangagwa is set to be sworn in as president, marking the final chapter of a political drama that toppled his predecessor Robert Mugabe after a military takeover. 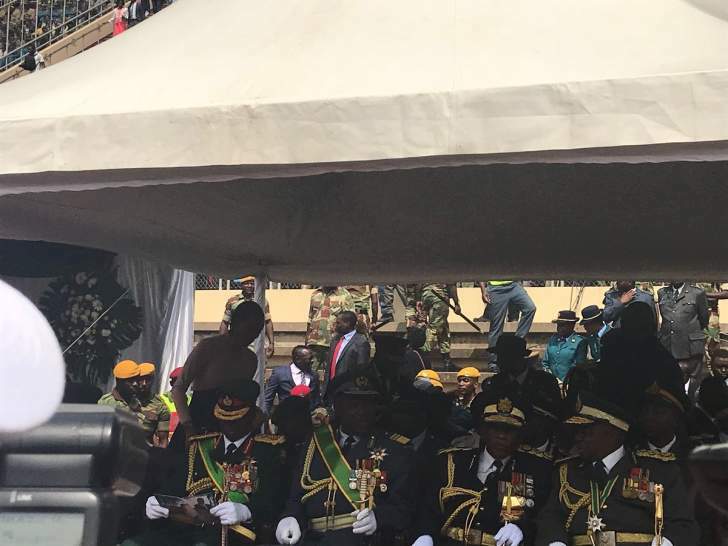 The newly sworn in President of Zimbabwe, His Excellency President Emmerson Mnangagwa finishes his inauguration speech amid cheers. Mnangagwa: To our civil servants, it can't be business as usual. You now need to roll up your sleeves... We have an economy to recover, people to serve. Mnangagwa: Acts of corruption must story. Where these occur, swift, swift, swift justice must be served. Mnangagwa about to read his speech! Zimbabwe Republic Police Commissioner General Augustine Chihuri declared allegiance to President Emmerson Mnangagwa. 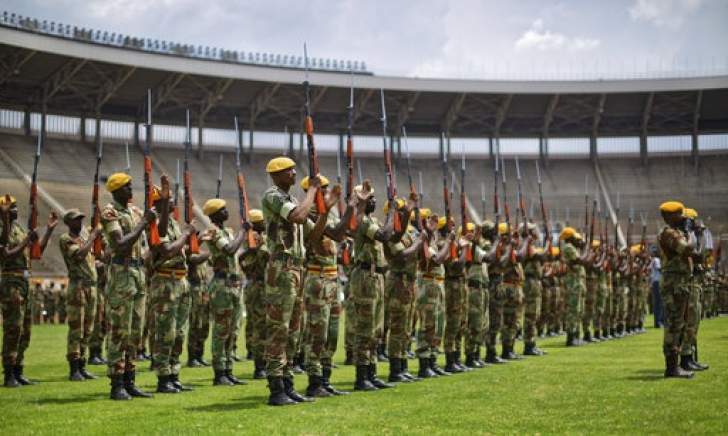 He was followed by Zimbabwe Correctional Services Commissioner General Paradzayi Zimondi, who also declared allegiance on behalf of of correctional services. 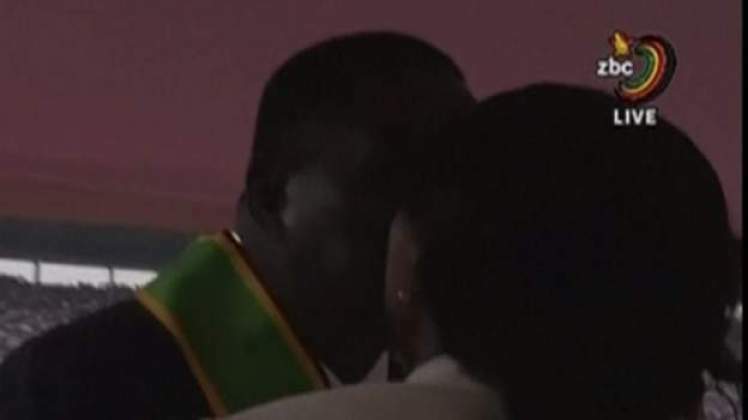 The crowd cheers as the first lady Auxilia Mnangagwa give her husband, the new president, a kiss. "EMMERSON MNANGAGWA officially sworn in as the president of Zimbabwe, replacing Robert Mugabe. #MnangagwaInauguration pic.twitter.com/7j3byiM4yr"
I, Luke Malaba, chief Justice of the Republic of Zimbabwe do hereby call upon you Emmerson Mnangagwa to take the oath of president. Chief Justice Luke Malaba to administer the oath of office for incoming president Emmerson Mnangagwa. A handful of regional heads of state are attending the inauguration of Zimbabwe's new leader, Emmerson Mnangagwa. They include the leaders of Botswana, Mozambique and Zambia. The president of regional powerhouse South Africa is not there because President Jacob Zuma is hosting Angola's new leader for talks. 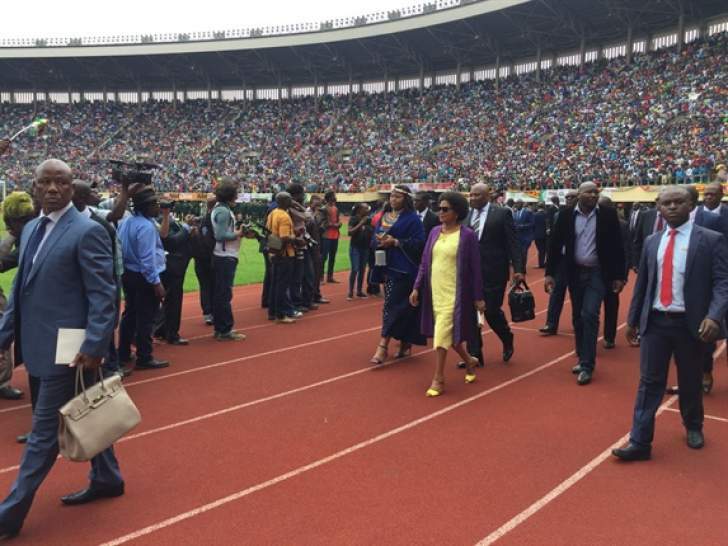 Mnangagwa has arrived to cheers from the crowd of tens of thousands and is expected to be sworn in shortly. Emmerson Mnangagwa may have survived the poison that nearly took his life this year, but will he survive the poisonous legacy Robert Mugabe has left him, asks Crecey Kuyedzwa. 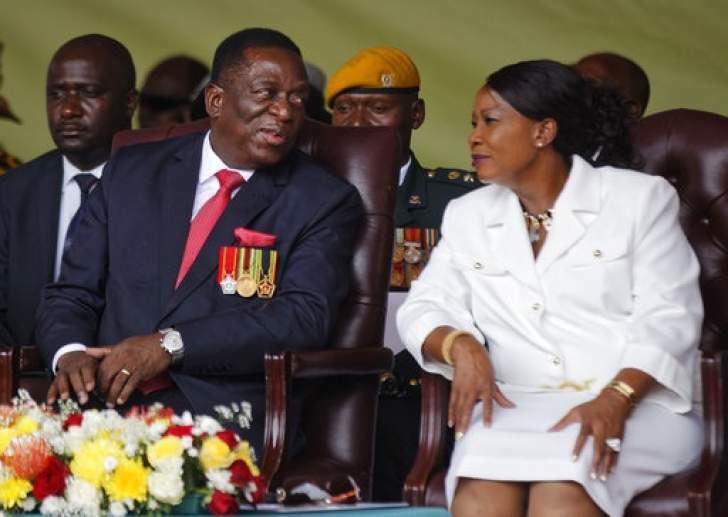 Emmerson Mnangagwa and his wife Auxillia, right, at the presidential inauguration ceremony in the capital Harare, Zimbabwe. Zambian President Edgar Lungu has arrived just after the arrival of former president Kenneth Kaunda Mozambican President Filipe Nyusi has also arrived. BBC reports that Robert Mugabe's finance minister Ignatius Chombo has been admitted to hospital after beatings he received in military custody. His lawyer Lovemore Madhuku reportedly said that Chombo has injuries to his hands, legs and back and was blindfolded throughout his week in custody. Chombo was accused of corruption and abuse of power relating to his time as local government minister more than a decade ago, Madhuku was quoted as saying. Chombo was detained when the military took over last week in events that eventually led to Mr Mugabe resigning as president. 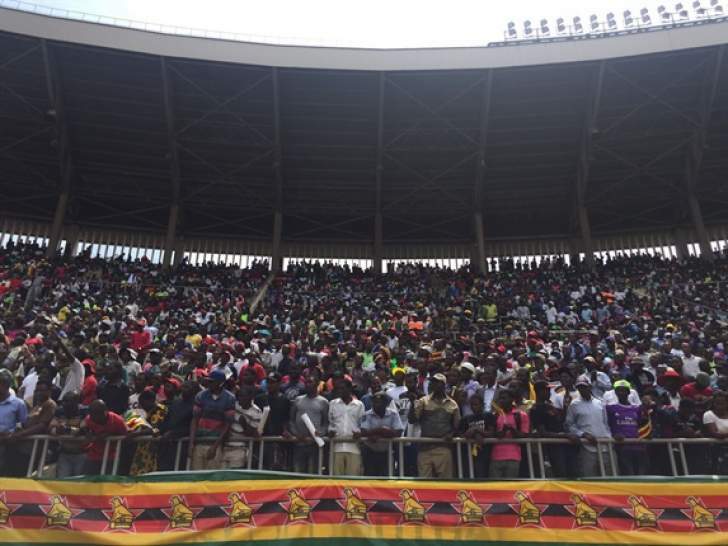 Part of the crowd gathered at the National Sports Stadium in Harare to witness the swearing in of Emmerson Mnangagwa as the country's new president. The ruling party has proven it protects its own. It assured Mugabe he would not be prosecuted if he stepped down. Zanu-PF chief whip Lovemore Matuke told The Associated Press: "He is safe, his family is safe and his status as a hero of his country is assured." 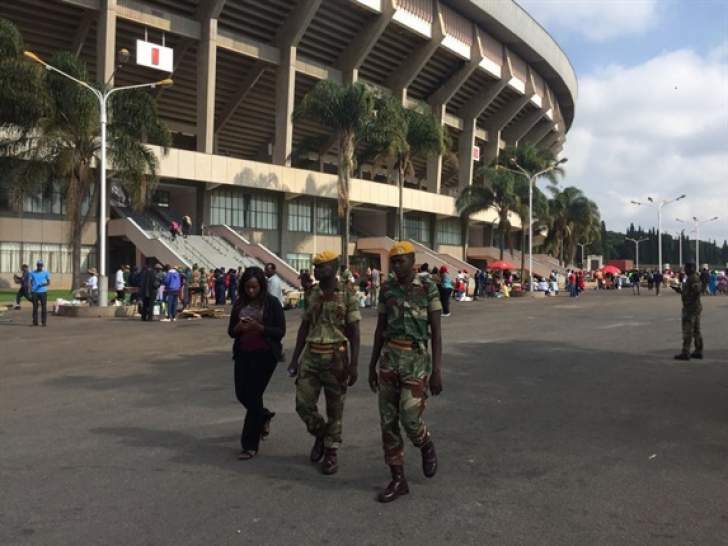 On Thursday, the opposition MDC-T party said it had not been invited to Mnangagwa's inauguration on Friday morning at a 60,000-seat stadium. That's after the MDC joined the efforts to remove Mugabe, seconding the motion in Parliament to impeach him. 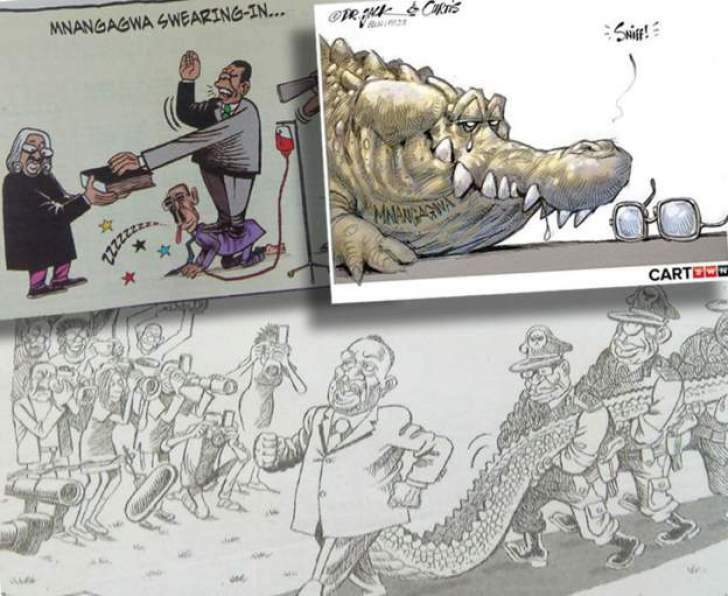 Zimbabwe's incoming leader Emmerson Mnangagwa, widely known as the Crocodile, is seen as a smart, ruthless politician, and many question if he will be able to bring the change the country craves. "We are witnessing the beginning of a new, unfolding democracy," the 75-year-old announced Wednesday upon his return to the country, two weeks after his firing by longtime mentor Robert Mugabe led to the president's downfall. Despite the message of inclusion, Zimbabweans noted that Mnangagwa made his first public remarks outside ruling Zanu-PF party headquarters and, switching to the local Shona language, praised the party. They ask whether Mnangagwa will be adequately independent from Zanu-PF to revive the battered economy and restore democracy with the backing of the opposition and others. SADC statement on former president Robert Mugabe "He will be remembered by SADC as an exemplary freedom fighter in the liberation struggle for Zimbabwe's independence and as one of the Founding Fathers of our cherished SADC. As a liberation icon, President Mugabe offered a message of hope and unity to millions of his compatriots when he became the first black Prime Minister of the newly independent Zimbabwe on 18 April 1980." Personality cults, centralization of power & state media propaganda have no place in the new Zimbabwe. Let us not compare Mnangagwa with Mugabe, Mugabe was a good orator, who'd do only that. Eloquent speeches do not result in policy implementation. 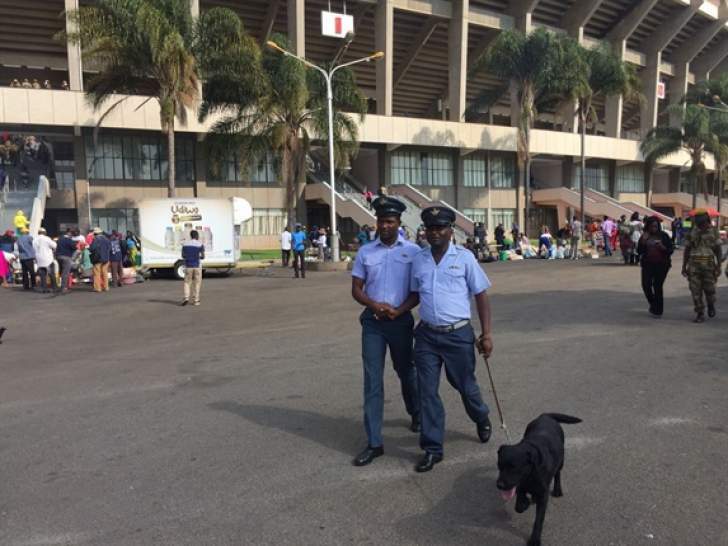 09:25 - Several regional leaders are expected to grace the event, and Zambian President, Edgar Lungu has just arrived. People from across the political divide have pledged support for Zimbabwe`s incoming president Emmerson Mnangagwa. Matabeleland North province has pledged its support for Mnangagwa when he takes over as the head of state and government this Friday. High expectations from all Zimbabweans await Mnangagwa as he takes over as head of state and government with people expressing optimism that he will turn around the economic fortunes of the country. However, for his policies to succeed it is the duty of every Zimbabwean to participate in nation building by supporting the new leadership. The incoming head of state is expected to enjoy support in the agriculture sector, following his exceptional performance in command agriculture which saw the country harvesting excess maize from the previous farming season. 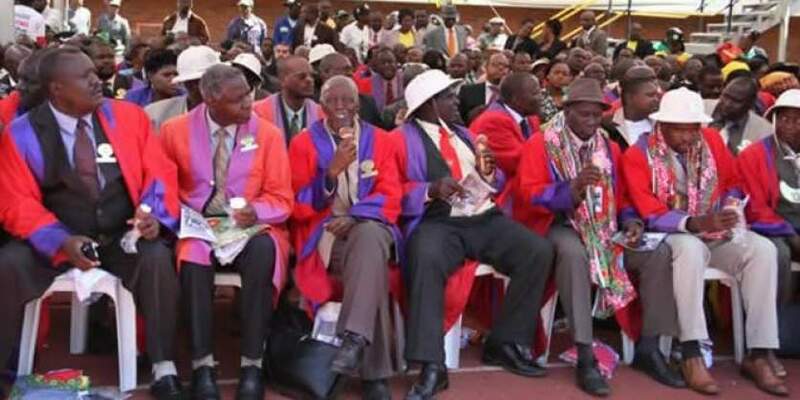 Religious leaders The religious community has called for all Zimbabweans across the religious and political divide to bury the seed of enmity and sow a sense of re-building the nation in the new political dispensation. Zimbabwe has fostered a culture of tolerance within communities where people from diverse cultures and affiliations can work together regardless of political tribal and religious differences. Business leaders There is optimism in the mining town of Zvishavane that the incoming president will give support to revive the defunct Shabanie Mine and support business in a way that will change lives in the community, says Midlands chapter ZNCC executive member Mr Tamson Mthombeni who is also a representative of Makanaka Holdings. Miners On the other hand, Chamber of Mines president Mr Batirai Manhando says they are expecting deepening engagement with the new government for the transformation of the country's economy. 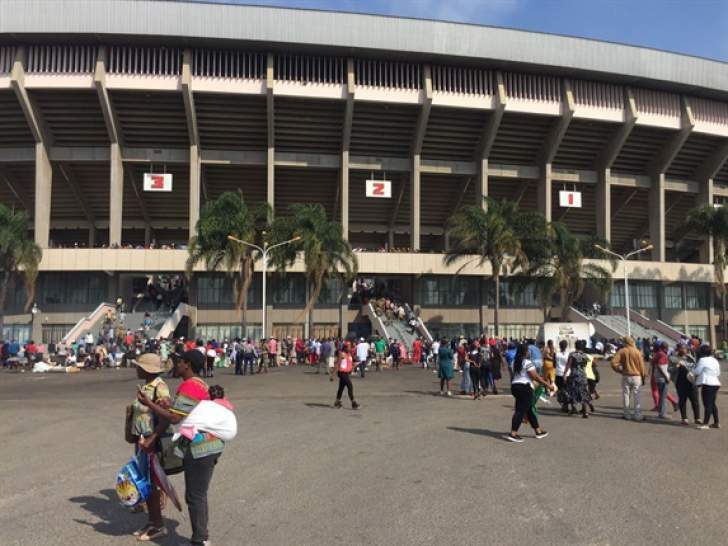 09:04 - The giant National Sports Stadium is already full to capacity as Zimbabweans are ready to witness the new dawn. 08:54 - Ahead of his inauguration at the National Sports Stadium, Mnangagwa yesterday met the Zanu PF Politburo and also had words of counsel to Zimbabweans. The President elect Emmerson Mnangagwa met with the politburo last night. This is Mnangagwa's first interaction with the Zanu PF senior members following his dismissal by the then President Robert Mugabe. Earlier on, Mnangagwa addressed thousands of Zanu PF supporters at the party headquarters in Harare where he promised to revive the economy and engage the international community in rebuilding the economy. Meanwhile, the inauguration of Mnangagwa will be held this Friday. President Designate Emmerson Mnangagwa has implored Zimbabweans to remain patient and avoid any form of revenge against each other. "While all this is going on, I implore all Zimbabweans to remain patient and peaceful and desist from any form of vengeful retribution," said Mnangagwa. In statement to ZBC News, Mnangagwa said vengefulness is not in the spirit of Ubuntu/Unhu which characterises the nature of our people. "As you are aware, in the last few months leading to this day, the political situation in our country has been quite fluid culminating in the resignation of our former Head of State, His Excellency President Robert Gabriel Mugabe. We are currently working on transitional arrangements which will lead to the dispensation which is to unfold tomorrow," said Mnangagwa. The President Designate has urged all Zimbabweans to be exemplary as they work towards the consolidation of unity and prosperity of the nation. "Let us not therefore allow criminal elements bent on destabilising the peace and tranquility prevailing in our country, by either settling political or social scores outside the ambit of the law," said Mnangagwa. In this vein, Mnangagwa implored the citizens of the country to refrain from malicious practices and report any such incidences to the law enforcement agencies for their appropriate legal action. Mnangagwa also appealed to fellow Zimbabweans to remain disciplined and optimistic whilst processes to drive the nation towards prosperity and development for the benefit of all, are being put in place. The Zimbabwe President designate, Emmerson Mnangagwa has pledged to be a servant of the people and called for all progressive Zimbabweans to unite in growing the economy. Mnangagwa, who arrived in Harare today from South Africa, told thousands of Zimbabweans gathered at the ruling party's headquarters to welcome him, that he is ready to lead the country into a new dispensation. "I pledge myself to be your servant. I appeal to all progressive Zimbabweans to come together so that we grow our economy, we want peace, we want jobs jobs jobs, we need the cooperation of our neighbours in SADC, Africa and the world over. I am already receiving several calls from people and nations willing to help us grow our nation," said the incoming President, who will be sworn in on Friday. Mnangagwa thanked the people of Zimbabwe for expressing their desire for former president Robert Mugabe to step down and for their prayers when he survived poisoning on 12 August. He said he decided to leave the country after receiving death threats two hours after he was fired as Vice President of the country. "Within two hours after receiving a letter firing me from government, I received news that they wanted to eliminate me. That is why I had to leave and while away, you the people of Zimbabwe spoke. On 12 August, I was subjected to poisoning, I thank you for your prayers that I survived," said Mnangagwa. "Nhema dzakataugwa dzakawanda kuti topwanya zimsoro iro, zvino musoro wapwanywa ndewani?" asked Mnangagwa rhetorically in reference to the former First Lady, Dr Grace Mugabe's remarks during the purported ‘Super Sunday' rally with members of indigenous churches that it was time ‘to crush the head of the snake,' the purported Lacoste faction in Zanu PF. Mnangagwa added that it was unfortunate that the G40 cabal had captured the executive in the form of ex-President Mugabe, but now that the people had spoken, it was time for the founding father of Zimbabwe to comply with his promise that he will step down whenever the people of Zimbabwe wish him to do so. The President designate also thanked Zimbabweans for being peaceful, saying SADC leaders are all proud of the discipline and peacefulness of the people of Zimbabwe. 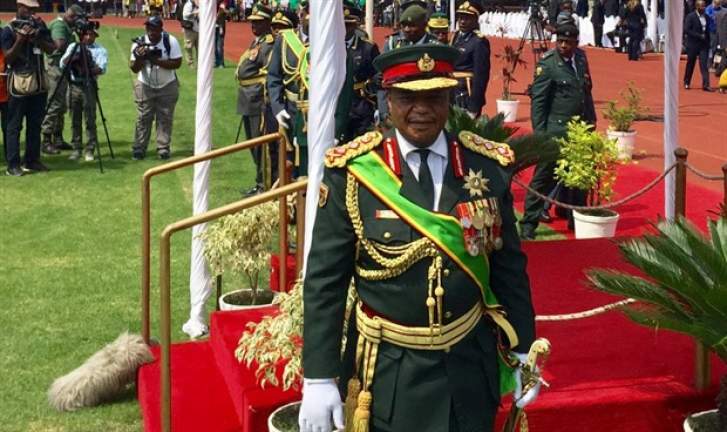 He also thanked the Zimbabwe Defence Forces (ZDF) led by General Constantino Chiwenga for managing this transitional process peacefully. Mnangagwa also expressed gratitude to his colleagues in the Zanu PF Politburo and Central Committee as well as the Speaker of Parliament, Advocate Jacob Mudenda for the way they stood behind him and handled the process. 08:13 - It is another historic day for Zimbabweans, who will witness the swearing in of the President Designate, Emmerson Mnangagwa. He will takeover from Zimbabwe's founding father, Robert Mugabe, who has ruled the Southern African country for 37 years.